Expense: Rs. 14000 odd for two inclusive of all expenses. We started at about 0930 AM, had breakfast, took a Tuk Tuk to begin our day. We hired the Tuk Tuk driver for the whole day and negotiated a rate accordingly. First stop was Killing Fields of Choeung Ek. This is quite far from the city and if possible, leave early so you can have more time after. I don’t know how, but I did not read nor research much about the Killing Fields. Obviously we did not know what we were about to learn from visiting this place. Anyway, as you enter, the ticket counter offers the audio guide in various languages. This is a MUST to know what exactly you are about to discover. A beautiful stupa welcomes you from a distance and nothing post that was even close to B of Beautiful. 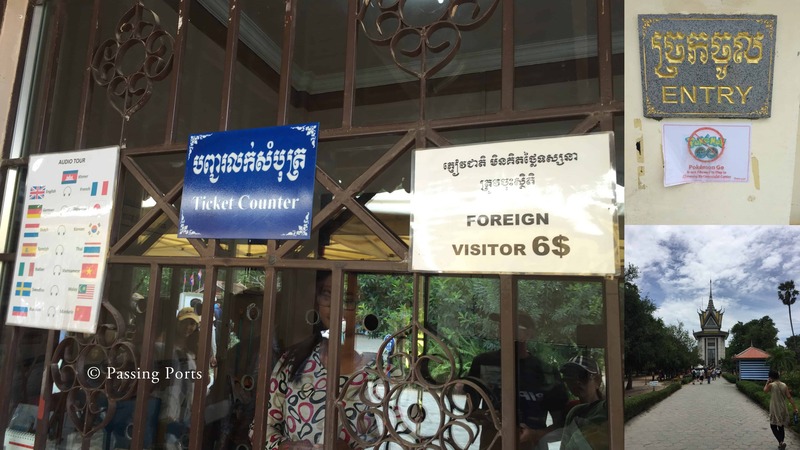 By the time we left, my husband and I proceeded with heavy hearts to the S21 Prison or Tuol Sleng Museum of Genocide. This saddened me more and at the same time made me realise how important life is (too clichéd and too true). Highly thought provoking and an inspiring experience is how I will conclude our trip to Killing Fields and S21 Prison. Please read my detailed experience of these two places here. After these, in our Tuk Tuk, we visited the Independence Monument. This is a lotus shaped monument built by a Cambodian architect. The monument was built after winning the war with French and is right in the heart of the capital. This is a huge open space that one cannot miss and the locals spend time relaxing, jogging etc. 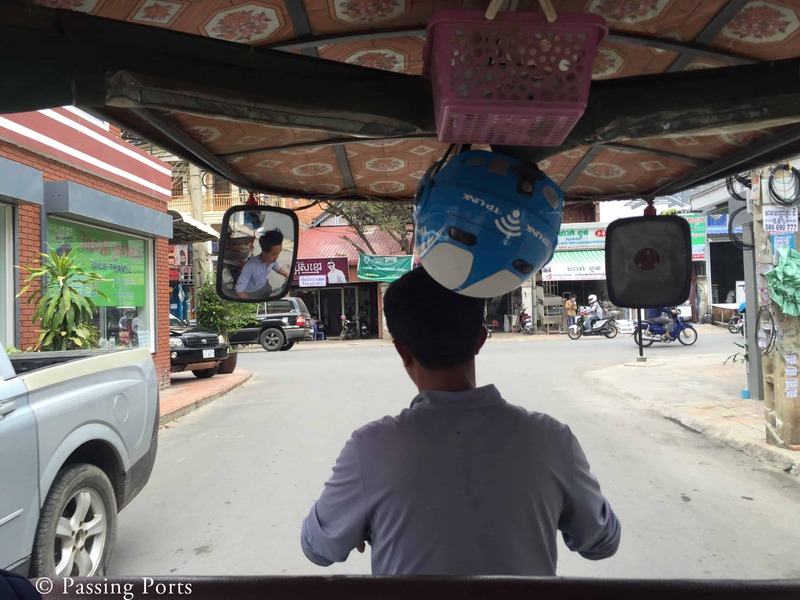 Here is a quick preview of our two days going around Phnom Penh. Up next was the Royal Palace. Once you enter, you will see a huge place with many buildings within. Make sure you take the map from the ticket counter to know which building is what. You will find some of the buildings in beautiful golden tiered towers. Till date, high official meetings happen here and the palace is not open for public those days. The Silver Pagoda is also within the complex where you can find the Emerald Buddha studded with diamonds along with many gifts that were given over a period of time by foreign dignitaries. Watch the video below for a quick 360 view of the Royal Palace. Our last stop was the Central Market. This is a huge market which sells everything under one roof. Stones and gems, watches are the ones which we found in plenty. We ended the day eating at an Indian Restaurant called Madras Restaurant and massage at a spa near Mad Monkey Hostel. We had asked the same Tuk Tuk guy the previous day to take us around the other places in Phnom Penh. He first took us to Wat Ounalum. This is a very beautiful temple that is on the same road as the Royal Palace and we did not pay an entrance fee. If you have the time and energy, you can actually visit Wat Ounalum after the Royal Palace on the same day. From there we went to the Russian Market to buy some souvenirs as we were leaving Cambodia that afternoon. 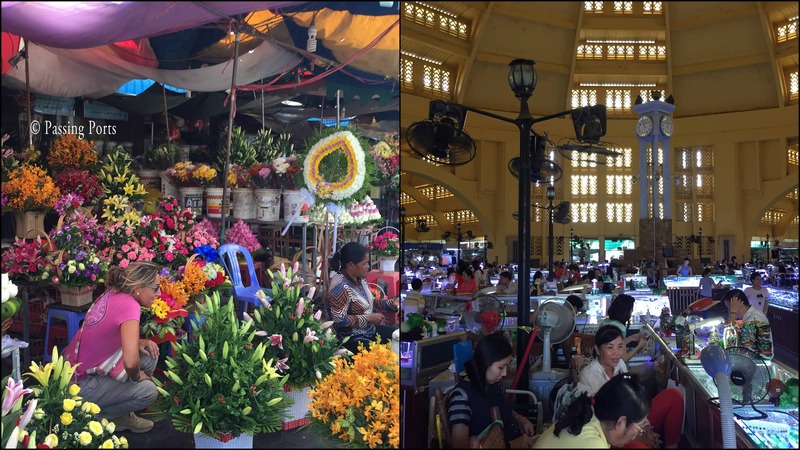 This market , in my opinion, was much better than the Central Market. 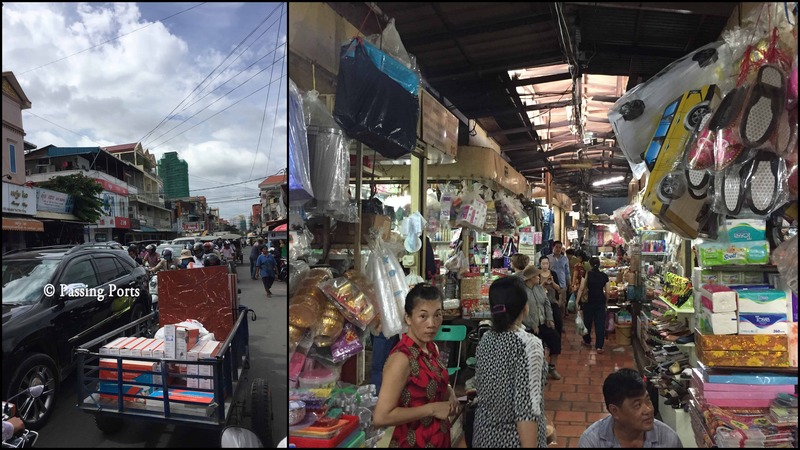 I was able to shop for more stuff at good rates and found more things to buy than Central Market. I saw more locals than tourists here compared to Central market and that could be because we went there early. Nonetheless, don’t miss this market and if you have time for one – I suggest you go to the Russian Market. 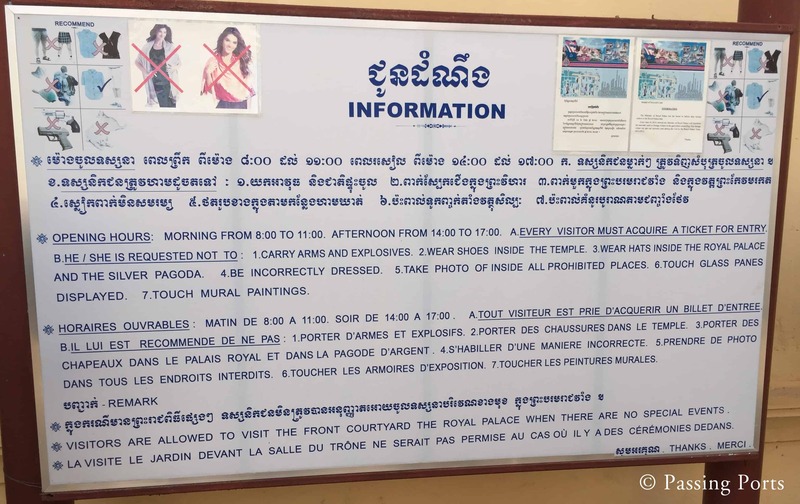 We went back to the Hotel, checked out and got ourselves dropped at the other side of the Royal Palace which faces the Tonle Sap River. This is also called as the Sisowath Quay. You can take a nice stroll along the Tonle Sap River, find so many pigeons around (the sight was actually therapeutic) and find so many eateries and beer joints to choose and relax. We spent some time here before we headed to our Mekong Express Bus Station. 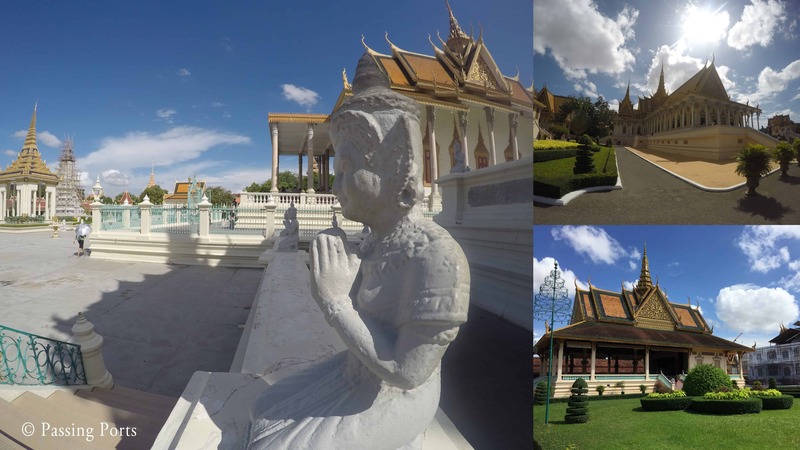 There is another place that we did not know of – Wat Phnom. Had we known, we could have definitely gone there as we had time. 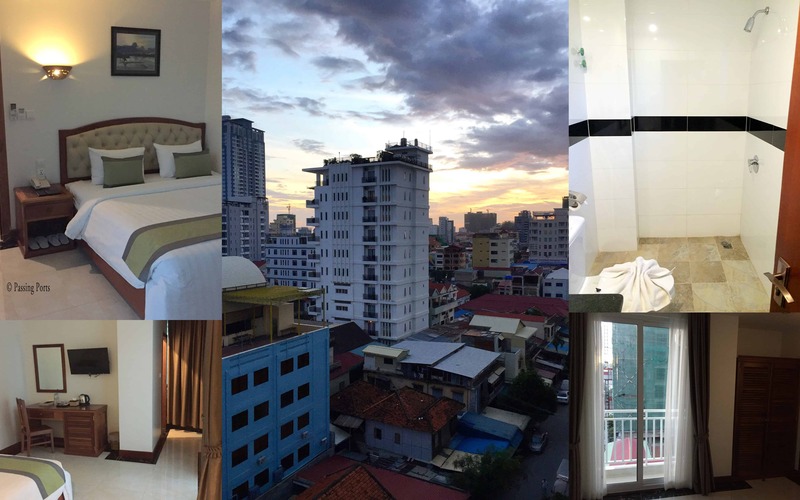 Overall, I guess one will not need more than two – three days to explore Phnom Penh.